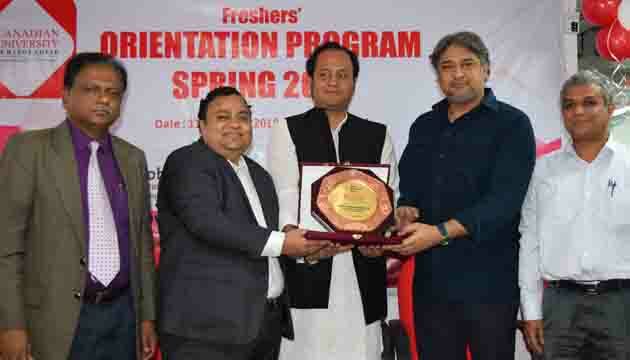 A day-long Orientation Programme for the freshers’ of graduate and undergraduate programmes for Spring-2019 was held at Canadian University of Bangladesh on 11 February 2019 (Monday). 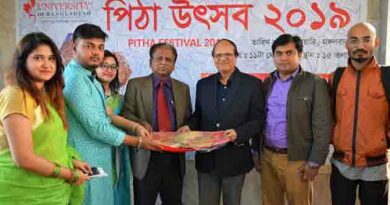 Mr. Mohibul Hasan Chowdhury, MP, Honorable Deputy Minister, Ministry of Education graced the program as Chief Guest while Dr. Chowdhury Nafeez Sarafat, Founder and Chairman, Canadian University of Bangladesh Chaired the programme. Dr. Atiur Rahman, Professor Emeritus and Virtual Dean, honorary advisor of CUB and former Governor of Bangladesh Bank, Prof. M. A. Arafat, Chief Advisor of BoT of CUB, Prof. Dr. Mohammad Mahfuzul Islam, Vice Chancellor of CUB and Prof. Dr. Nazrul Islam, Pro Vice Chancellor of CUB graced the event as Special Guests. The programme was ended with a colorful cultural performance by the students.